Hiring the best designer for your Indian wedding cards is not that easy. Unfortunately, you have to be open a little and walk an extra mile to ensure that you are hiring the best. Here are the five questions that you need to ask before hiring the designer for your wedding stationery. 1: Can you show us some of the recent real weddings invites examples from other couples? Seeing the live examples will enable you to get the better idea of designs and quality of the Indian wedding cards they designed. Seeing them in personnel is way better than scrolling through designs on the website. 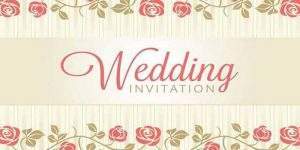 2: How much we can customize our wedding invite? Does it add up to any additional costs? You can ask how proficient they are with customized designs and how much you can customize. For instance, the content is tailored, but instead of the Ganesha motif used, you want to switch another or you like the card in one color and design in another or you want to customize the usual content too or you want to change the font, there are many scopes of customization. The question is how much they allow. Also, ask whether they are charging for it or not. Whenever you think about hiring of photo camera men then you must know Physical vs Electronic Photo Album Difference. 3: What kind of material is best under your budget? Also, do they offer Eco-friendly solutions for Indian wedding cards as well? You need to ask about the different material available or can be availed for your Indian wedding cards. if you are going with something more expensive like veneer, do they have an option for it or have they done it before. You need to ensure everything before leveraging their services. If you’re going with eco-friendly Indian wedding cards, you need to ask whether or not they provide you with recycled paper. 4: What are the different types of printing you use and which is best suitable for our budget? The designers of Indian wedding cards use several different types of printing. They all vary in their costing and so will be the quality of their outcome. It’s not necessary you have to choose the best or most expensive for the best results, a proficient wedding cards designer strives to serve the best even with budget constraint. Usually, the most expensive id engraved printing and the least pricey is the digital mode of printing. You can see the examples or samples of both. Accordingly, you can ask which option is better as per your budget. If you’re going with eco-friendly Indian wedding cards, you also need to ask about the inks they are going to use for printing those eco-friendly wedding invites. Make sure it’s bio-degradable like soy or vegetable ink. 5: Do they have an in-house team for printing or they outsource the printing part? Choosing the design and the content of your wedding card is not enough. You should ask whether they do the in-house printing or outsource the same. In-house printing is more suggestible as you can stay in constant touch with just them and there is no hassle in contacting other vendors too. Also in case of any error, the in-house printing assures rectification or re-printing at earliest. Asking these questions will surely help you extensively in deciding the best person to design your Indian wedding cards.